Offering a gym, a Sisley spa and large infinity pool overlooking the Caribbean Sea, Hotel Christopher Saint Barth is a secluded oasis 5 km from St Barthelemy Airport. It offers free Wi-Fi and free parking. 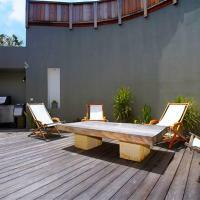 Bright, spacious rooms and suites are air conditioned and have a private terrace with garden or ocean views. Each has satellite TV, an iPod docking station and CD player. There is a minibar, safe and coffee maker. The private bathroom comes with a hairdryer and bathrobes. A free buffet breakfast is offered and there is a bar and restaurant. Room service is available. There is 24-hour reception and you can hire a car from reception. A free airport shuttle service can be requested. Set on the white sandy beach of St-Jean, on St Barthelemy, Tom Beach Hotel offers an outdoor pool and water sports facilities. There is a free airport shuttle, free Wi-Fi and free parking. The beachfront air-conditioned rooms feature a terrace with garden views. There is a flat-screen cable TV, minibar and iPod docking station, as well as a CD and DVD player. The private bathroom comes with bathrobes, a hairdryer and free toiletries. The complex has a snack bar and à la carte restaurant. You can request breakfast in your room. Shops, bars and restaurants can be found in the nearby centre of Gustavia town. A laundry service is available and you can hire a car from the tour desk. Situated on the seafront in Anse des Cayes, Hotel Manapany Cottages & Spa offers an outdoor pool, a spa, a gym and tennis courts. The air-conditioned rooms have garden or sea views. 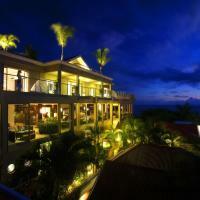 Surrounded by coconut palms and banana trees, rooms at the Manapany are set on the hillside or directly on the beach. Each one includes a minibar, free Wi-Fi, a safe and free toiletries. The PaCri restaurant serves Italian cuisine and offers wonderful sea views. You can also find bars and restaurants in the island’s capital, Gustavia, which is just a 5-minute drive away. St Barts Airport is around 1.5 km from the hotel. Car hire can be arranged at reception, and free private parking is available on site. Set directly on Grand Cul de Sac Beach, this luxurious 5-star hotel offers a spa, outdoor pool and lush gardens. Hotel Guanahani and Spa has a beach bar and 3 restaurants, serving French and international cuisine. Each elegant air-conditioned room and suite features bright Hawaiian-style décor and a terrace overlooking the sea or gardens. All rooms offer free Wi-Fi, an LCD TV and a coffee machine. Bathrooms include free toiletries and bathrobes. Hotel Guanahani and Spa offers a kid’s club, a gym and tennis courts, as well as yoga and pilates classes. Kayak and scooter rental can be arranged on site, while a variety of watersports are available nearby. The Guanahani is just a 2-minute drive from Playa Marigot Beach, while Gustavia Harbour and St Barthelemy' International Airport are within a 10-minute drive. Free private parking is offered on site. This modern, luxurious villa is located just 500 metres from the beautiful white sands of Flamands Beach in Gustavia and features sea views, a private pool and free car rental. With 3 spacious bedrooms, Villa Traigoz offers guests a comfortable seating and dining area, as well as a furnished outdoor terrace. Guests also enjoy free Wi-Fi and cable TV. Daily housekeeping is also offered. The property boasts a fully equipped kitchen, and there are several restaurants serving local cuisine within 2 km. Guests also enjoy free access to the neighbouring Isle-de-France Hotel, which has a restaurant and beach facilities. Baie de St. Jean Bay, a popular spot for snorkelling and lounging, can be found within a 5-minute drive. Gustavia City Centre is only 4 km from Villa Traigoz. Gustaf III Airport is a 5-minute drive from the property.